The question about a 64 bit version of PrimalScript has been raised a few times in our support forum. The question was, however, not really about what platform PrimalScript uses, but what platform the scripts run on. As software transitions from 32 to 64 bit you need a development environment that works on BOTH sides, not exclusively on either side. Many administrators are tasked with supporting legacy 32 bit software and bleeding edge 64 bit server components, some even on the same machine. PrimalScript 2011 will do just that, work on both sides, indifferent to its own “bitness”. 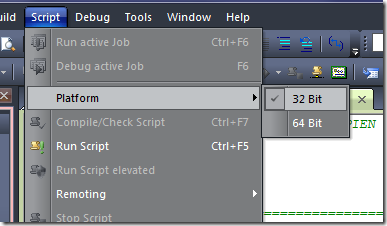 A little selector in the script toolbar lets you select in which environment to run your script. The sample above runs a PowerShell script in 32 bit mode. Below you see the same script executed in 64 bit mode. 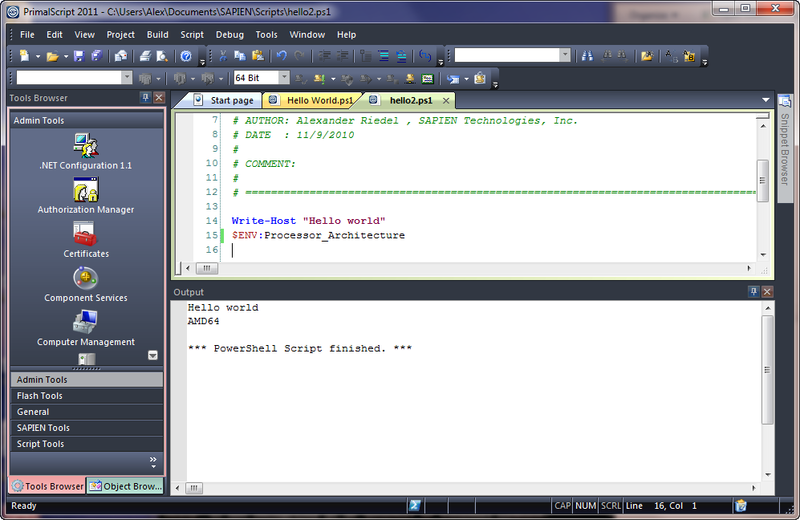 If you look closely you see that the output of the Processor_Architecture variable shows the corresponding value. Do you have to set that every time you need to change where script runs? We will visit that next time in Part 2. Stay tuned. 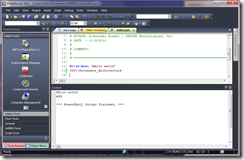 Feature Peek 2011: You can Track Changes for PrimalForms too!